"LevelSpace is a NetLogo extension, and will run on Mac, Windows, and Linux. 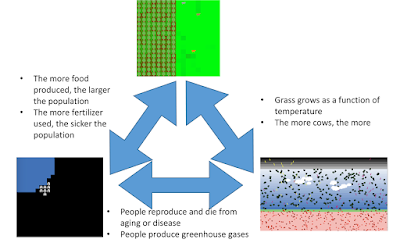 LevelSpace allows you to run an arbitrary number of concurrent NetLogo models that communicate with each other"
NetLogo gives the example which I show above, whereby one can link three models to find the right balance between a population in terms of "food production with pollution and the environment while growing their society." What I find exciting about this, relates to what we have written about before (e.g. here and here). 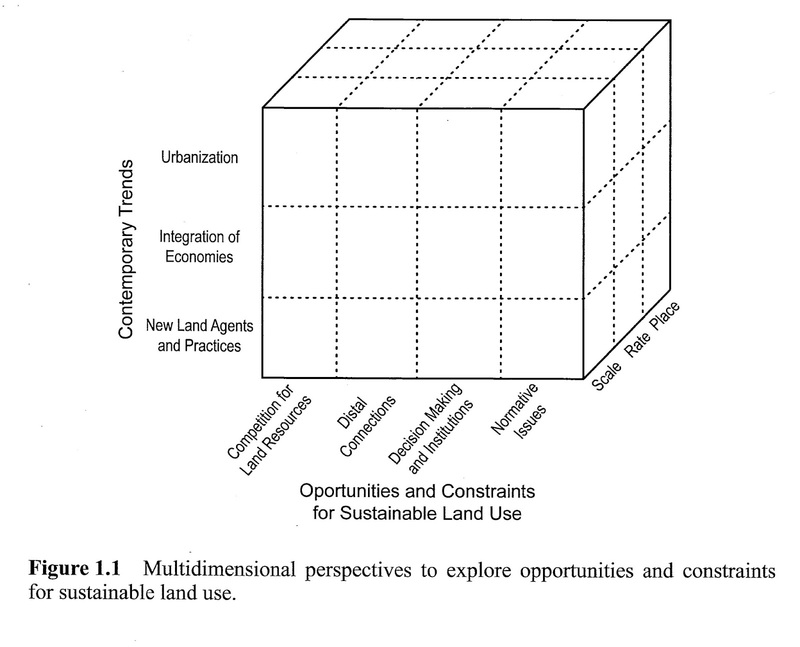 Basically we often build models which explore only one aspect of urban systems (i.e. 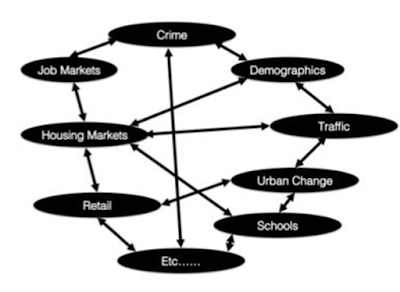 a subsystem) at the expense of ignoring others, but there are many aspects of a urban system which are interconnected as I show below. However, such subsystems do not operate in isolation. 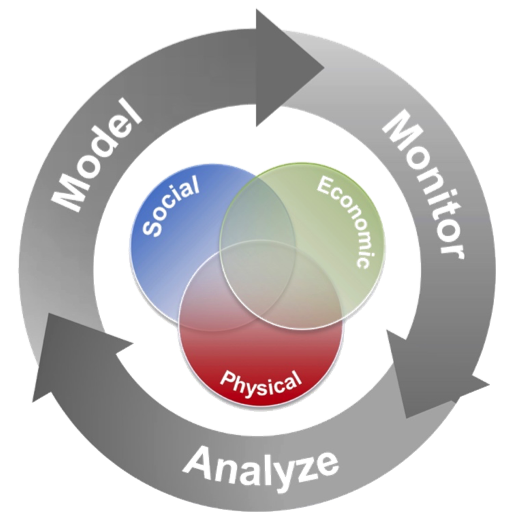 In the short term they might appear to be independent from the rest of the system, but in the long run they are dependent on the aggregate system behavior (along with other subsystems). The idea and ease therefore of linking different models together could help explore the urban systems. "Over 1 billion people currently live in slums, with the number of slum dwellers only expected to grow in the coming decades. The vast majority of slums are located in and around urban centres in the less economically developed countries, which are also experiencing greater rates of urbanization compared with more developed countries. This rapid rate of urbanization is cause for significant concern given that many of these countries often lack the ability to provide the infrastructure (e.g., roads and affordable housing) and basic services (e.g., water and sanitation) to provide adequately for the increasing influx of people into cities. 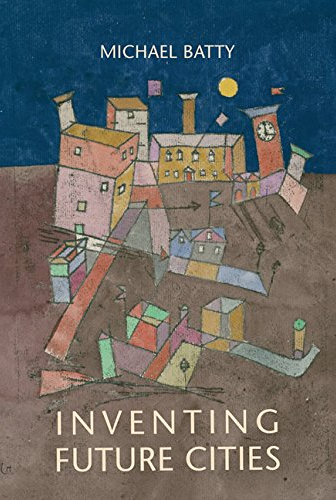 While research on slums has been ongoing, such work has mainly focused on one of three constructs: exploring the socio-economic and policy issues; exploring the physical characteristics; and, lastly, those modelling slums. 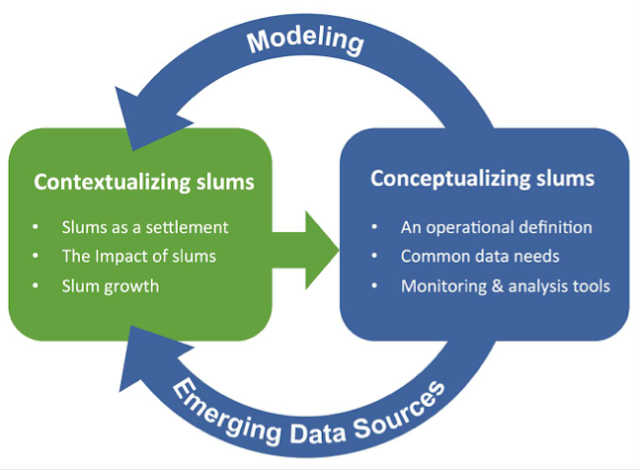 This paper reviews these lines of research and argues that while each is valuable, there is a need for a more holistic approach for studying slums to truly understand them. By synthesizing the social and physical constructs, this paper provides a more holistic synthesis of the problem, which can potentially lead to a deeper understanding and, consequently, better approaches for tackling the challenge of slums at the local, national and regional scales." 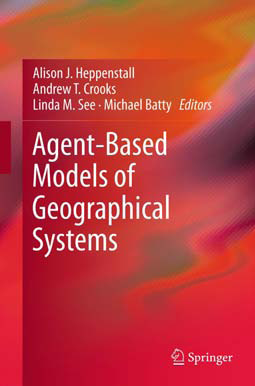 "In this paper, we propose a class of models for generating spatial versions of three classic networks: Erdös-Rényi (ER), Watts-Strogatz (WS), and Barabási-Albert (BA). We assume that nodes have geographical coordinates, are uniformly distributed over an m × m Cartesian space, and long-distance connections are penalized. 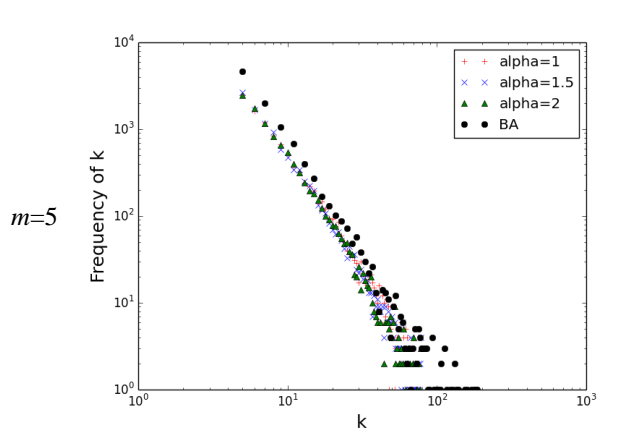 Our computational results show higher clustering coefficient, assortativity, and transitivity in all three spatial networks, and imperfect power law degree distribution in the BA network. 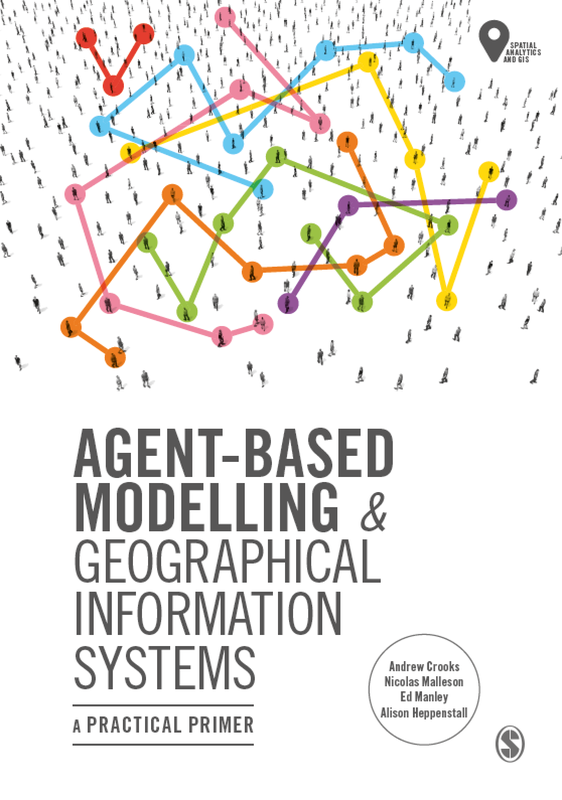 Furthermore, we analyze a special case with geographically clustered coordinates, resembling real human communities, in which points are clustered over k centers. Comparison between the uniformly and geographically clustered versions of the proposed spatial networks show an increase in values of the clustering coefficient, assortativity, and transitivity, and a lognormal degree distribution for spatially clustered ER, taller degree distribution and higher average path length for spatially clustered WS, and higher clustering coefficient and transitivity for the spatially clustered BA networks."